Added by Darian Bolin on February 22, 2016. 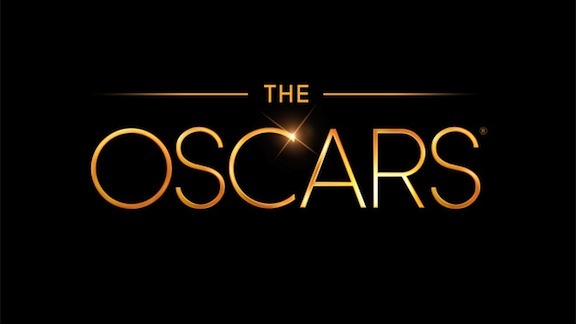 The nominations for the 2016 Academy Awards were announced recently. Arguably the biggest event of the year for films and film lovers, the Academy Awards is an annual awards ceremony held by the Academy of Motion Picture Arts and Sciences to honor cinematic achievements in the film industry. It’s also the oldest entertainment awards ceremony, dating back to 1929. Amidst a sea of controversy in regards to the noticeable lack of diversity amongst nominees, this year’s films are among the most acclaimed films of the past year, from big sci-fi blockbusters to small art films and everything in between. For now, I’m going to take a look at just a few of this year’s many nominees. Spotlight and Bridge of Spies are Oscar-bait-type movies – stories about historically significant events that have have cultural relevance – so those definitely are in the running. Mad Max: Fury Road is getting massive acclaim from critics and audiences alike, which gives it a definite edge, but the story isn’t quite heavy enough to be a huge contender, and the Academy doesn’t usually tend to recognize action movies. The Revenant has the advantage of being written and directed by Alejandro González Iñárritu, who won Best Picture with Birdman last year, so its chances are extremely high. The Martian is a really solid movie, and it does have some really good performances from everyone involved, along with a deep story of survival and overcoming adversity, as well as some understatedly great cinematography. The Big Short could go either way. If I had to pick one, I would say Mad Max, just on sheer blind hope that it will win, no matter how unlikely it is. Fassbender, DiCaprio, and Damon gave some of my personal favorite performances of the year. Fassbender brought a depth to the role of Steve Jobs that Ashton Kutcher didn’t have. DiCaprio, as usual, put every fiber of his being into his role as Hugh Glass, portraying a broken, injured, and determined man across the beautiful landscapes of the 1800s frontier. Matt Damon portrayed a man with a deep resolve to survive, and he was also hilarious as well. My personal choice is Michael Fassbender. He brought a lot of emotion and realism to Steve Jobs. As I was watching the movie, I never thought I was looking at Fassbender – rather, I believed I was looking at Jobs himself. This one will probably go to Inside Out, considering Pixar’s track record of love from the Academy and the critical and audience acclaim racked up by the movie. Anomalisa, written and directed by the beloved Charlie Kaufman, also has a pretty solid chance. Then again, one of the other three nominees could come up from behind and win it. If you had told me a few years ago that Adam McKay, the director of Step Brothers and Anchorman, would be nominated for Best Director, I probably wouldn’t have believed you. George Miller’s dedication to doing as little CGI as possible in all the stunts and effects in Mad Max is ambitious and certainly admirable. Iñárritu’s decision to put his actors and crew directly into the conditions portrayed on film is edgy and shows that he has an extreme dedication to directing the most realistic film he can make. Plus, his win for Best Director last year puts him high on the Academy’s radar. The Revenant is the most gorgeous and well-shot movie I have ever laid eyes on. Every single shot, from the harsh and barren landscapes to the gritty realism of battles, takes one’s breath away. One notable example comes in the beginning of the movie; when the camp is attacked by Native Americans, the entire battle is largely done in one continuous shot (a la Birdman) but the way it is done is unique: the camera follows one person for a while, until they are killed, and then the camera follows the person who killed them. Its rare that a movie this beautiful gets made, and I really hope the Academy recognizes that. There are obviously many more awards up for contention this year. With such a wide range of potential winners, it’s no wonder the Oscars are among the most popular awards ceremonies. If you would like to see who wins the coveted golden statues, you can tune in to the Oscars on February 28th on ABC.